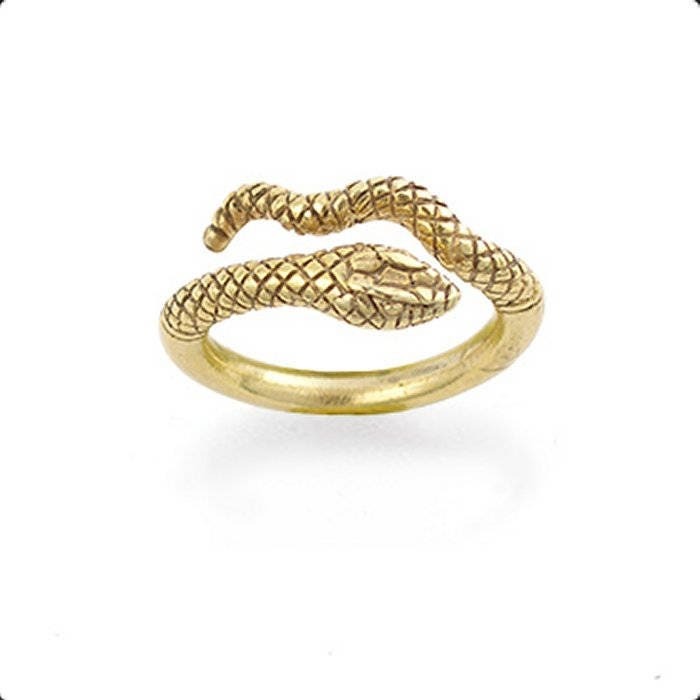 This Egyptian Snake Ring is made of pewter with an antique gold finish. It is adjustable. HISTORY: In ancient Egypt, as in many cultures, snakes were both feared and worshiped. As one of the demons of the underworld, the destructive Apophis was feared while the serpent Meretseger was worshiped as the protector of the Valley of the Kings. A cobra, uraeus, was attached to the headdress of King Tutankhamun and other rulers as their royal insignia and protection. Some believe that Cleopatra was killed by an asp that she had smuggled into her room.